Topps NHL SKATE Card Trader is the officially-licensed digital trading card app of the NHL, NHLPA, and National Hockey League Alumni Association (NHLAA). Collect and trade NHL superstars, both past and present, with hockey fans from around the world! Play your card collection in free weekly contests to win in-app prizes and chase new cards every day to build the ultimate NHL card collection! Download free in the iTunes App Store or Google Play Store. Topps® NFL HUDDLE® is the first-ever digital trading card app of the NFL and NFLPA. Collect and trade your favorite NFL superstars, both past and present, with football fans around the world. Bring your card collection to life by playing them in free weekly contests and build your card collection with new pack releases every day! Collection thousands of officially-licensed cards featuring classic Topps card designs, original artwork, autograph cards, relics and more! Download free now in the iTunes App Store or Google Play Store. Topps® KICK® 2019: Football Card Trader is the official digital card trading app of the Premier League, Bundesliga, UEFA Champions League, UEFA Europa League and Major League Soccer, with 70 licensed clubs and over 700 players. Join fans from around the world for the KICK 2019 Season and download free now in the iTunes App Store or Google Play Store. Collect and trade thousands of officially-licensed STAR WARS™ digital trading cards, including your favorite characters, vehicles, locations, and more! 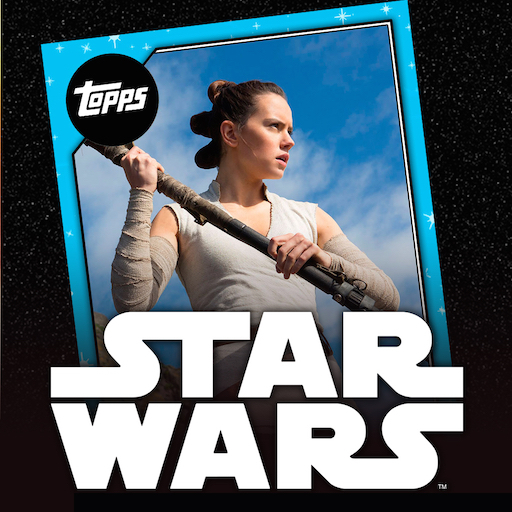 From the nostalgic, like the original “STAR WARS ‘77” set by Topps, or the futuristic, with content from Solo: A Star Wars Story, Star Wars Card Trader is your go-to for digital collectibles. Download free now in the App Store or Google Play. 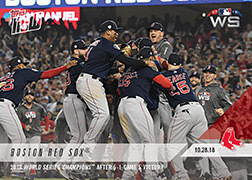 Topps® BUNT® is the only real-time, real world Major League Baseball digital trading card game where the cards you own and collect earn points based on how your players perform on the field each day. 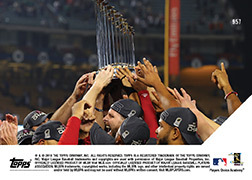 Download BUNT for your iPhone, iPad or iPod touch on the App Store, or for your Android through the Google Play Store. Collect your favorite WWE Superstars in Topps® WWE SLAM®, the new card collecting app from Topps! The app contains exciting new and exclusive designs from the SLAM team, and it will also feature classic WWE designs from the Topps archives. Trade with any WWE fan in the world who is on the app with you so you can complete the superstar collection of your dreams. Download today for iOS and Android! UFC has teamed up with the classic sports and entertainment collectibles brand, Topps, to bring you the ultimate digital trading card app, Topps UFC KNOCKOUT! Collect and trade with UFC fans around the world and play your card collection in real-time Contests to win in-app prizes! Download free in the App Store of Google Play Store. Collect and trade your favorite characters including Daryl, Rick, Maggie, Carol, Negan, and many others as they continue to fight, and more importantly survive, in an ever-changing post-apocalyptic world! Become part of the best community of Walking Dead collectors and interact with fans around the world! Download free in the App Store or Google Play Store.